1935; Best Direction Award, New York Film Critics, for Stagecoach , 1939; Oscar for Best Director, for Grapes of Wrath , 1940; Oscar for Best Director and Best Direction Award, New York Film Critics, for How Green Was My Valley , 1941; Oscar for Best Documentary, for Battle of Midway , 1942; Legion of Merit and Purple Heart; Annual Award, Directors Guild of America, 1952; Grand Lion Award, Venice Festival, 1971; Lifetime Achievement Award, American Film Institute, 1973. Died: In Palm Desert, California, 31 August 1973. John Ford's Stagecoach , edited by Richard Anobile, New York, 1975. My Darling Clementine , edited by Robert Lyons, New Brunswick, New Jersey, 1984. Interview with Lindsay Anderson, in Sequence (London), New Year issue 1952. "Rencontre avec John Ford," in Cahiers du Cinéma (Paris), March 1955. "Poet in an Iron Mask," interview with Michael Barkun, in Films and Filming (London), February 1958. "Ford on Ford," in Cinema (Beverly Hills), July 1964. "Rencontre avec John Ford," with Axel Madsen, in Cahiers du Cinéma (Paris), July 1965. Interview with Jean Mitry, in Interviews with Film Directors , edited by Andrew Sarris, New York, 1967. "Our Way West," interview with Burt Kennedy, in Films and Filming (London), October 1969. "Notes of a Press Attache: John Ford in Paris, 1966," interview with Bertrand Tavernier, in Film Comment (New York), July/August 1994. Kitses, Jim, Horizons West , London, 1969. French, Warren, Filmguide to The Grapes of Wrath , Bloomington, Indiana, 1973. Bogdanovich, Peter, John Ford , Berkeley, 1978. Carey, Harry, Jr., Company of Heroes: My Life as an Actor in the John Ford Stock Company , Metuchen, New Jersey, 1994. Darby, William, John Ford's Westerns: A Thematic Analysis, with a Filmography , Jefferson, North Carolina, 1996. McVay, Douglas, "The Five Worlds of John Ford," in Films and Filming (London), November 1955. Barkun, Michael, "Notes on the Art of John Ford," in Film Culture (New York), Summer 1962. Bogdanovich, Peter, "Autumn of John Ford," in Esquire (New York), April 1964. "John Ford Issue" of Présence du Cinéma (Paris), March 1965. "John Ford Issue" of Cahiers du Cinéma (Paris), October 1966. Tavernier, Bertrand, "John Ford à Paris," in Positif (Paris), March 1967. Beresford, Bruce, "Decline of a Master," in Film (London), Autumn 1969. Anderson, Lindsay, "John Ford," in Cinema (Beverly Hills), Spring 1971. "John Ford Issue" of Focus on Film (London), Spring 1971. "John Ford Issue" of Velvet Light Trap (Madison, Wisconsin), August 1971. "Special Issue Devoted to John Ford and His Towering Achievement, Stagecoach ," in Action (Los Angeles), September/October 1971. Editors of Cahiers du Cinéma , "John Ford's Young Mr. Lincoln ," in Screen (London), Autumn 1972. McBride, J., "Drums along the Mekong: I Love America, I Am Apolitical," in Sight and Sound (London), Autumn 1972. McBride, J., "Bringing in the Sheaves," in Sight and Sound (London), Winter 1973/74. Rubin, M., "Ford and Mr. Rogers," in Film Comment (New York), January/February 1974. 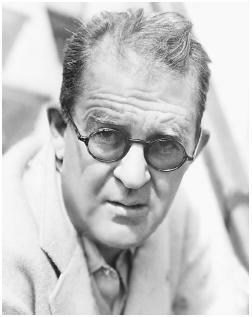 "John Ford (1895–1973) Issue" of Anthologie du Cinéma (Paris), March 1975. Dempsey, M., "John Ford: A Reassessment," in Film Quarterly (Berkeley), Summer 1975. Gallagher, Tag, "John Ford: Midway. The War Documentaries," in Film Comment (New York), September/October 1975. Belton, J.R., "Ceremonies of Innocence: Two Films by John Ford," in Velvet Light Trap (Madison), Winter 1975. Budd, M., "A Home in the Wilderness: Visual Imagery in John Ford's Westerns," in Cinema Journal (Evanston), Fall 1976. Roth, W., "Where Have You Gone, My Darling Clementine?," in Film Culture (New York), no. 63–64, 1977. Stowell, H.P., "John Ford's Literary Sources: From Realism to Romance," in Literature/Film Quarterly (Salisbury, Maryland), Spring 1977. "John Ford Issue" of Wide Angle (Athens, Ohio), vol. 2, no. 4, 1978. McCarthy, T., "John Ford and Monument Valley," in American Film (Washington, D.C.), May 1978. Ellis, K., "On the Warpath: John Ford and the Indians," in Journal of Popular Film (Washington, D.C.), vol. 8, no. 2, 1980. Combs, Richard, "At Play in the Fields of John Ford," in Sight and Sound (London), Spring 1982. "John Ford Section" of Casablanca (Madrid), January 1983. Roth, L., "Ritual Brawls in John Ford's Films," in Film Criticism (Meadville, Pennsylvania), Spring 1983. Bogdanovich, Peter, "Touch of Silence for Mr. Ford," in New York , October 1983. Schickel, Richard, "Ford Galaxy," in Film Comment (New York), March/April 1984. Stevens, G., Jr., and Robert Parrish, "Directors at War," in American Film (Washington, D.C.), July/August 1985. Gallagher, Tag, "Acting for John Ford," in American Film (Washington, D.C.), March 1986. Nolley, Ken, "Reconsidering Ford's Military Trilogy," in Literature/Film Quarterly (Salisbury, Maryland), April 1986. Wood, Robin, " Drums along the Mohawk ," in Cine Action! (Toronto), no. 8, 1987. Nolley, Ken, "Reconsidering The Quiet Man ," in Cine Action! (Toronto), no. 9, 1987. Bernstein, Matthew, "Hollywood's 'Arty Cinema': John Ford's The Long Voyage Home ," in Wide Angle (Athens, Ohio), vol. 10, no. 1, 1988. Card, James, " The Searchers : by Alan LeMay and John Ford," in Literature/Film Quarterly (Salisbury, Maryland), vol. 16, no. 1, 1988. Gallagher, Tag, "John Ford's Indians," in Film Comment (New York), September/October 1993. Eby, Lloyd, "The Man Who Invented Westerns Explored the American Character," in Insight on the News , 20 February 1995. Manchel, Frank, "Losing and Finding John Ford's Sergeant Rutledge (1960)," in Historical Journal of Film, Radio, and Television (Abingdon, England), vol. 27, no. 2, June 1997. Haggard, Mark, John Ford: Memorial Day 1970 , U.S., 1970. Bogdanovich, Peter, Directed by John Ford , U.S., 1971. Sanders, Denis, The American West of John Ford , U.K., 1971. John Ford has no peers in the annals of cinema. This is not to place him above criticism, merely above comparison. His faults were unique, as was his art, which he pursued with a single-minded and single-hearted stubbornness for sixty years and 112 films. Ford grew up with the American cinema. That he should have begun his career as an extra in the Ku Klux Klan sequences of The Birth of a Nation and ended it supervising the documentary Vietnam! Vietnam! conveys the remarkable breadth of his contribution to film, and the narrowness of its concerns. Ford's subject was his life and his times. Immigrant, Catholic, Republican, he spoke for the generations that created the modern United States between the Civil and Great Wars. Like Walt Whitman, Ford chronicled the society of that half century, expansionist by design, mystical and religious by conviction, hierarchical by agreement; an association of equals within a structure of command, with practical, patriotic, and devout qualities. Ford portrayed the society Whitman celebrated as "something in the doings of man that corresponds with the broadcast doings of night and day." Mythologizing the armed services and the church as paradigms of structural integrity, Ford adapts their rules to his private world. All may speak in Ford's films, but when divine order is invoked, the faithful fall silent, to fight and die as decreed by a general, a president, or some other member of a God-anointed elite. In Ford's hierarchy, Native and African Americans share the lowest rung, women the next. Businessmen, uniformly corrupt in his world, hover below the honest and unimaginative citizenry of the United States. Above them are Ford's elite, within which members of the armed forces occupy a privileged position. In authority over them is an officer class of career military men and priests, culminating in a few near-saintly figures of which Abraham Lincoln is the most notable, while over all rules a retributory, partial, and jealous God. The consistency of Ford's work lies in his fidelity to the morality implicit in this structure. Mary of Scotland 's Mary Queen of Scots, the retiring Nathan Brittles in She Wore a Yellow Ribbon , and outgoing mayor Frank Skeffington in The Last Hurrah all face the decline in their powers with a moral strength drawn from a belief in the essential order of their lives. Mary goes triumphantly to the scaffold, affirming Catholicism and the divine right of kings. Duty to his companions of the 7th Cavalry transcending all, Brittles returns to rejoin them in danger. Skeffington prefers to lose rather than succumb to modern vote-getting devices such as television. "I make westerns," Ford announced on one well-publicized occasion. Like most of his generalizations, it was untrue. Only a third of his films are westerns, and of those a number are rural comedies with perfunctory frontier settings: Doctor Bull, Judge Priest, Steamboat round the Bend, The Sun Shines Bright. Many of his family films, like Four Men and a Prayer and Pilgrimage , belong with the stories of military life, of which he made a score. A disciple of the U.S. Navy, from which he retired with the emeritus rank of Rear Admiral, Ford found in its command structure a perfect metaphor for moral order. In They Were Expendable , he chose to falsify every fact of the Pacific War to celebrate the moral superiority of men trained in its rigid disciplines—men who obey, affirm, keep faith. Acts, not words, convey the truths of men's lives; public affirmations of this dictum dominate Ford's films. Dances and fights signify in their vigor a powerful sense of community; singing and eating and getting drunk together are the great acts of Fordian union. A film like The Searchers , perhaps his masterpiece, makes clear its care for family life and tradition in a series of significant actions that need no words. Ward Bond turns away from the revelation of a woman's love for her brother-in-law, exposed in her reverent handling of his cloak; his turn away is the instinctive act of a natural gentleman. Barred from the family life which his anger and independence make alien to his character, John Wayne clutches his arm in a gesture borrowed from Ford's first star, Harry Carey; in a memorable final image, the door closes on him, a symbol of the rejection of the eternal clan-less wanderer. Ford spent his filmmaking years in a cloud of critical misunderstanding, with each new film unfavorably compared to earlier works. The Iron Horse established him as an epic westerner in the mold of Raoul Walsh, The Informer as a Langian master of expressionism, the cavalry pictures as Honest John Ford, a New England primitive whose work, in Lindsay Anderson's words, was "unsophisticated and direct." When, in his last decades of work, he returned to reexamine earlier films in a series of revealing remakes, the skeptical saw not a moving reiteration of values but a decline into self-plagiarism. Yet it is The Man Who Shot Liberty Valance , in which he deals with the issues raised in Stagecoach , showing his beloved populist west destroyed by law and literacy, that stands today among his most important films. Belligerent, grandiose, deceitful, and arrogant in real life, Ford seldom let these traits spill over into his films. They express at their best a guarded serenity, a skeptical satisfaction in the beauty of the American landscape, muted always by an understanding of the dangers implicit in the land, and a sense of the responsibility of all men to protect the common heritage. In every Ford film there is a gun behind the door, a conviction behind the joke, a challenge in every toast. Ford belongs in the tradition of American narrative art where telling a story and drawing a moral are twin aspects of public utterance. He saw that we live in history, and that history embodies lessons we must learn. When Fordian man speaks, the audience is meant to listen—and listen all the harder for the restraint and circumspection of the man who speaks. One hears the authentic Fordian voice nowhere more powerfully than in Ward Bond's preamble to the celebrating enlisted men in They Were Expendable as they toast the retirement of a comrade. "I'm not going to make a speech," he states. "I've just got something to say."